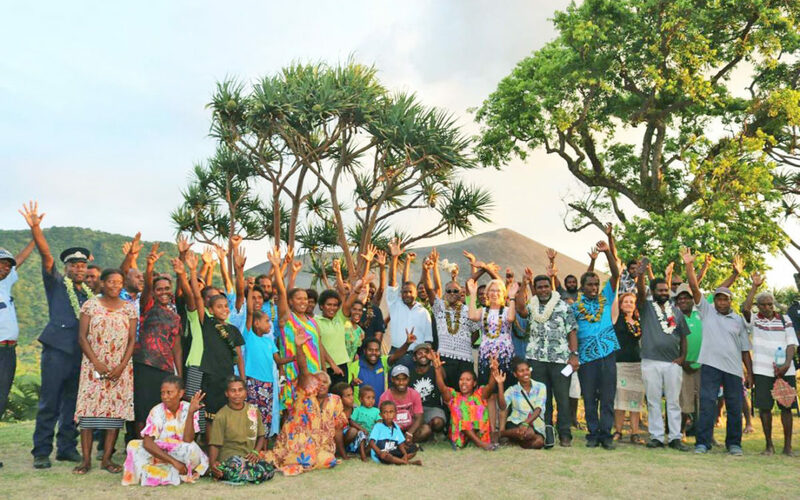 27 tourism properties on Tanna that were smashed by cyclone Pam four years ago have been reopened and ready for marketing. The locally owned bungalows, tours and restaurant have been renovated but to a much better standard than before. They include 18 bungalows, 8 tours and one restaurant. The bungalows were launched under the final phase of the Tanna Tourism Recovery Project (TTRP) which was developed by the Tafea Department of Tourism in response to the devastating effects of cyclone Pam on Tanna tourism industry. This is in addition to over 40 tourism properties including the Tanna Travel Centre previously launched in the first and second phase of TTRP. TTRP second phase commenced in February 2018 provided support to 29 tourism business to rebuild back devastated properties while the initial phase supported 13 bungalows. Funded by the government of Australia, TTRP is managed by the Tafea Department of Tourism, Tafea Provincial Government and the Australian Government supported Vanuatu Skills Partnership. Product upgrade and business development improvements for local tourism accommodation and tour services post-cyclone Pam was the focus of TTRP ‘s second phase. This was provided through business and technical skills support, subsidized construction materials to tourism businesses and ongoing support to the Tanna Travel Centre. Activities conducted as part of the project included targeted workshops and nationally accredited accommodation services trainings, as well as on-site coaching visits from product development and construction coaches. The costs of local construction materials were subsidized to assist operators with their reconstruction plans in a partnership approach. The newly launched tourism properties will now be able to be sold to a wide range of international markets through the Tanna Travel Centre to increase access to marketing and booking opportunities. The newly established direct Melbourne to Port Vila flights provides additional opportunity for Tanna. Bungalows, tours and restaurant which benefited through the TTRP final phase are: Tanna Lava View Bungalow, Volcano Roaring Front Bungalow, Amazing Volcano View Bungalow, Volcano Eco and Tree House Bungalow, Tanna Volcano Haven, Volcano Village Vista Bungalow, Volcano Magical Location, Volcano Eco Adventure Bungalow, Volcano Island Paradise, Tanna Island Dream, White Beach Restaurant and Bungalow, Rocky Ridge Bungalow, Crystal Lagoon, Tommmy Tanna Bungalow, White Beach Bungalow , Hidden Treasure, Iwaru Beach Bungalow, Tanna Beach Location, Avoca Restaurant, Iwaia Hot Spring, Tanna Adventure Tours, Lownamilo Rive Canyon, Faith Fishing Charter, Yakel Custom Village, Ikuna Cultural Tour, Lenawawa Cultural Tour and Lowinio Botanical Garden and Cultural Tour.